Barbershop Banknote: Did Sir John A. Macdonald get a $10 haircut? Did Sir John A. Macdonald get a $10 haircut? Focus groups hired to vet the final design of the Bank of Canada’s newest $10 banknote raised a surprising concern: Sir John A. Macdonald’s unruly hair. It seems a stray lock of the first prime minister’s hair was touching the head of his neighbour, in images on the prototype bill to commemorate Canada’s 150th birthday. “Hair on the right side of Sir John A. Macdonald’s face touching Sir George-Étienne Cartier’s ear,” warns the official report from the private preview of the banknote. Cartier’s image also had an annoying hair problem. “Eyebrows with one hair in particular sticking up,” says the focus-group report by Pollara Strategic Insights on the design of the new plastic banknote, which begins circulating June 1. Bank officials declined to say exactly what they did to resolve those problems. But images of the approved commemorative $10 note, released this month, show Sir John A.’s hair a respectful distance from the ear of Cartier, whose eyebrows have no observable rogue hairs. Can we call it the Barbershop Banknote? 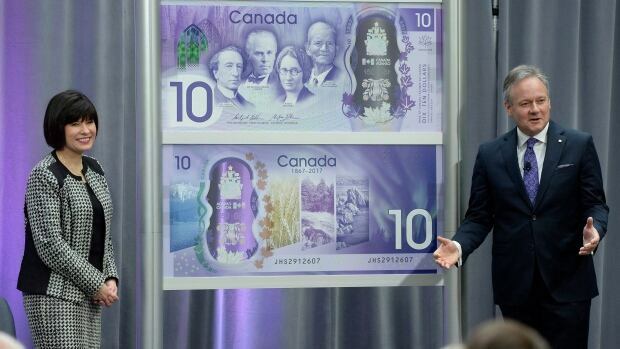 “Focus group participants provided valuable feedback on many aspects of the preliminary design concepts, and where appropriate the bank considered their input in further developing the design of the Canada 150 note,” said Bank of Canada spokesperson Josianne Menard. She declined to say whether these two Fathers of Confederation had been given a trim. The Pollara focus groups — five cities, 94 participants — were conducted last August as part of the bank’s efforts to avoid a repeat of a previous hairy-banknote disaster. In 1954, the central bank introduced a new series of banknotes featuring an engraving of the newly coronated Queen Elizabeth II. But wags soon spotted a problem with the royal hair. 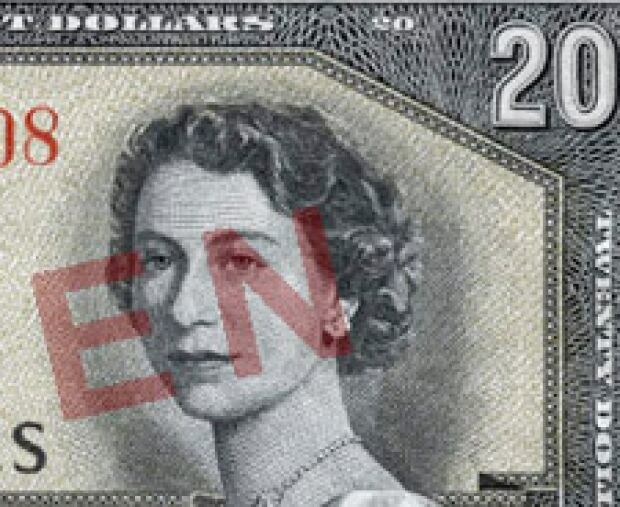 The Queen’s flowing locks appeared to contain the image of a grinning demon, and the notes were soon dubbed the “Devil’s Head” or “Devil’s Face” currency. Embarrassed central bank officials had the image re-engraved to purge the demon, and re-issued the notes in 1956. Those original “Devil’s Head” banknotes, in pristine condition, can be worth a lot of money today. The central bank has had other banknote gaffes over the years. In 2013, officials learned they had misidentified a mountain that appeared on its new plastic $10 notes. The bank called it Mount Edith Cavell, but a sharp-eyed Toronto professor proved it was another peak. The Bank of Canada didn’t change the banknote in that case, just altered the official description of the images. In 2012, Mark Carney, then governor of the Bank of Canada, apologized to Canadians for the way an image of an “Asian-looking” woman scientist was removed from an initial design for a new $100 banknote. Focus groups had raised questions about the Asian ethnicity of the image, and the woman’s features were changed to Caucasian. The August 2016 focus groups were actually the second round of focus-group vetting for the new $10 commemorative note, of which only 40 million will be released — with about half expected to be retained as souvenirs rather than circulated. The first round was in July 2015. Back then the prototype had the image of just one famous Canadian — Sir John A. The focus groups found the image suitable “but encouraged the bank to explore a more diverse representation of our country,” said Menard. So the Bank of Canada eventually gave Macdonald three neighbours — Cartier; Agnes Macphail, the first woman MP; and James Gladstone, the first treaty First Nations senator. The project, started under a Conservative government and concluded under the Liberals, was budgeted at $5.4 million. The final $10 polymer notes each cost about 4.5 cents more to produce than the current regular $10 banknotes, partly because of the extreme vetting. That $10 denomination was chosen because it “is a lower-value denomination, therefore accessible for all Canadians,” says an internal bank document, among several obtained by CBC News for this story under the Access to Information Act. Next year, yet another $10 banknote is planned, this one for regular circulation and featuring an image of Viola Desmond, a black Nova Scotia woman who stood up to racism. Next story Stupid Question: What would happen if you didn’t shower for a year?